You didn’t mention the well known Downs Thompson Paradox. 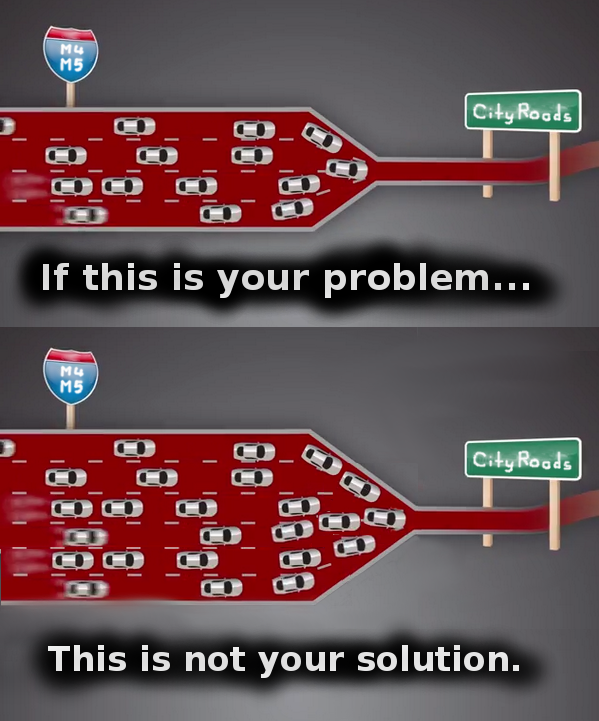 Another thing that irked me on the night was Dennis Cliche trying to portray WestConnex opponents as opposed to roads altogether. He said “You can’t have all of one and none of the other. I’ve yet to see a bus drive down a city street without using a road’. There’s no-one in this movement proposing to stop having roads altogether. A pathetic attempt to attack a straw man.